The new 2019 Honda Accord in Highland Park, Illinois was truly built for excellence. Drivers who are searching for a Honda dealer near Chicago, IL should stop by Muller Honda and experience the new Accord with its innovative features, high-end performance, and hybrid options. It's time to level up your style with notable features such as the Dual-Zone Automatic Control, a 12-way Power Driver's Seat, and Apple CarPlay and Android Auto integration. Live the dream and explore the innovative features inside this updated Honda sedan. It's time to find a new Honda Accord for sale in Highland Park, IL. 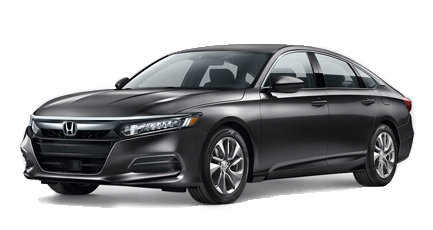 The bold exterior of the new 2019 Honda Accord is evident through the strong character lines and LED low-beam headlights with auto-on and off features. Did we mention that the Accord also has LED fog lights? The new Honda Accord also features a host of differing wheel options, from the standard 17" alloy wheels on the LX to the available 19" black alloy wheels, which can be accessed through our tire center in Highlander Park, IL. Sitting inside the new Accord is like sitting inside the heart of an icon. The new 2019 Honda Accord features high-quality, soft-touch material and an elongated front view. The interior of the Accord has an available leather-wrapped steering wheel and available leather-trimmed seats with elegant stitching. You'll always be comfortable in a sedan that features an impressive amount of legroom and headroom. There's also heated and ventilated seating! The new 2019 Honda Accord LX, Hybrid, Sport, EX, and EX-L trims are notably named the 2019 IIHS Top Safety Picks, which ensures that the Accord is ready for excellence. Why? Honda Safety Sense, which is a host of innovative safety systems. The Honda Sensing technologies inside the Accord are at the very least, highly impressive. The Accord features a Collision Mitigation Braking System, a Road Departure Mitigation System, Adaptive Cruise Control System, a Lane Keeping Assist System, and even Traffic Sign Recognition. Your Honda vehicle can find and stop threats before you're even aware of them. The new Accord is one vehicle that you want on your team. Schedule a test drive near Chicago, Illinois now!